Bo—the World's Best Dog in the World! 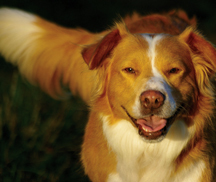 Bo (Bodhisattva) is a male Nova Scotia Duck Tolling Retriever (or perhaps a mix). We adopted him in August of 2009. We believe he was born in 2006. What we know of his story began in a shelter, from which he was plucked by a rescue group the night before he was to be put down. We don't know much about his early life but we do know that he's been a stray more than once, he's been shot more than once (with more than one type of firearm), and he's escaped death more than once. And we know he was abused. We know that Bo was a stray for at least 6 weeks in the weeks just prior to our adopting him. He lived on his own, digging a den under the overpass of a major highway. He hunted for food at night and avoided humans at all cost. It took a group of 20 volunteers (including a tracking dog) weeks to capture him. He's a smart and resourceful canine. When we adopted this poor soul we didn't know how frail and broken he was. Bo was so sad that, after the first week in our home, our seven-year-old neighbor described him as "the most depressed dog I've ever seen in my life". Well, time and love can heal many wounds and today Bo is a happy, healthy, gentle, confident, obedient, easy going, and much adored dog. Bo loves to play with other dogs, enjoys greeting cats, is never aggressive (well, except with rabbits, squirrels and, okay, deer), and is happy to greet people with a gentle touch of his nose. He doesn't fuss or jump up and has never tried to jump on the sofa. He is the most well-behaved, polite, gentle dog we've ever known. We call him the "world's best dog in the world." 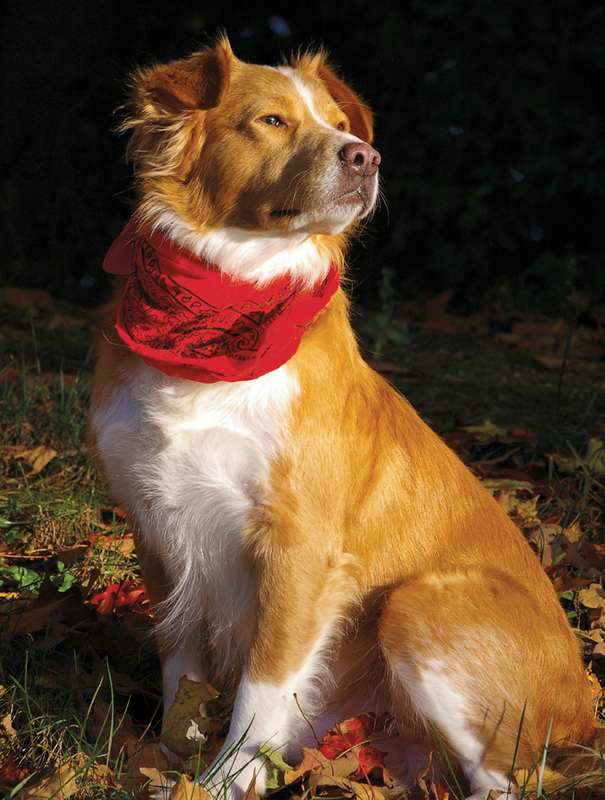 Bo is a Certified Therapy Dog and an AKC Canine Good Citizen. Come Bridge Slow Touch Bang!